Really the beauty of glühwein is that you can tailor it to your own tastes. I like mine to be rich in spices, however if that is not your cup of tea, then just reduce amount of spices you add. Just take this recipe as a base and then go in the direction that best suites your tastes. If you wish to get your friends and yourself tipsy even more quickly, or just to add a little extra kick, add brandy, sweet sherry or port to the mix (optional but rather tasty). I tend to cut the oranges into slices and then put about 4 cloves into each slice, then put them in with the wine. Break the cinnamon sticks in half or thirds and put them in with the wine as well as 10 of the whole all spice. Stir on and off for about 30 minutes to give the spices time to infuse with the wine and for the magic to occur, then taste it, and add more sugar as needed (possible up to 4 or 5 cups more in the wine is really bad). Let it cook/infuse/whatever for about 30 minutes more (again, not letting it boil). Sometimes I like to add berries, which soak up the alcohol quite nicely and add to the cuteness of the drink. Also, in a more glögg-esque version (The Swedish version of glühwein/mulled wine), having this with gingerbread is quite yummy. I have also tried some consisting of amaretto with white wine instead, and that was also delicious - I'll post this and other variations on the glühwein theme in the future, so keep an eye out! If you'd like something warm and spicy, but without alcohol, then try this delicious mulled apple cider recipe. I haven't used orange juice in mine. I use Triple Sec. Or Grand Mariner if you're made of money. And brandy. It is a wicked concoction. I also like the idea of slicing the oranges...I usually just cut it in two and put the cloves into the skin. Not too many. A dozen will do. I am snowed in today and so made a batch. It warms you up. thanks a lot! I'll make some Gluhwein so that my mexican friends know what i used to drink in the christmas markets in Germany! :D great stuff, thanks for sharing! I followed the recipe and substituted a little Barenjager (Honey Liquer) I picked up from the PX in place of some of the sugar to give it a little personalization and extra "kick" instead of the sherry :)..it worked beautifully ..thank you much! John the honey liquer sounds delicious. I will have to see if I can find some. I am thinking about using some sparkling grape juice in this when I make it next weekend instead of orange juice. I'll let you know how it goes! 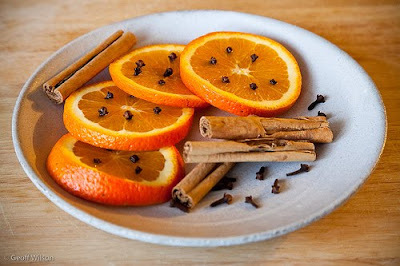 How much port or sherry do you add to this recipe? This is a FABULOUS gluhwine recipe! Thanks for sharing!! 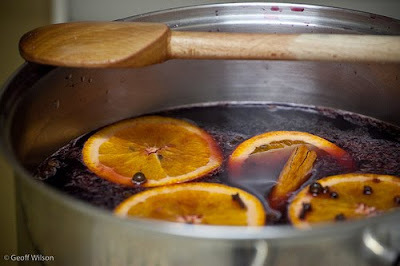 I tried this recipe and I can say it is the greatest gluhwein I have tried. Even better than the one in the Christmas market. Thank you for sharing! 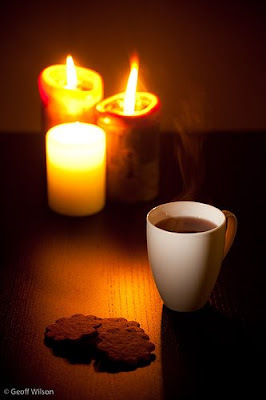 Although, I had children's gluhwein, as I abstain from alcohol. Do you know of a way to make this delicious drink virgin for all ages? I would love to share it with my entire family. This was SENSATIONAL! I used a fairly cheap (but still drinkable) merlot-it was amazing. I didn't even use 2 cups of sugar. Thank you for the wonderful recipe! My great grandmother was Danish and she used grain alcohol which we bought at the drug store. I had not tried it yet even after making a few adjustments to satisfy me Irish taste buds. I hope to do so this year. I figure a little brandy and some mint leaves as a garnish and flavor would work nicely. I'll have to try this recipe, sounds better than those I've tried before, none of which compared to the real German market gluhwein. Thank you.